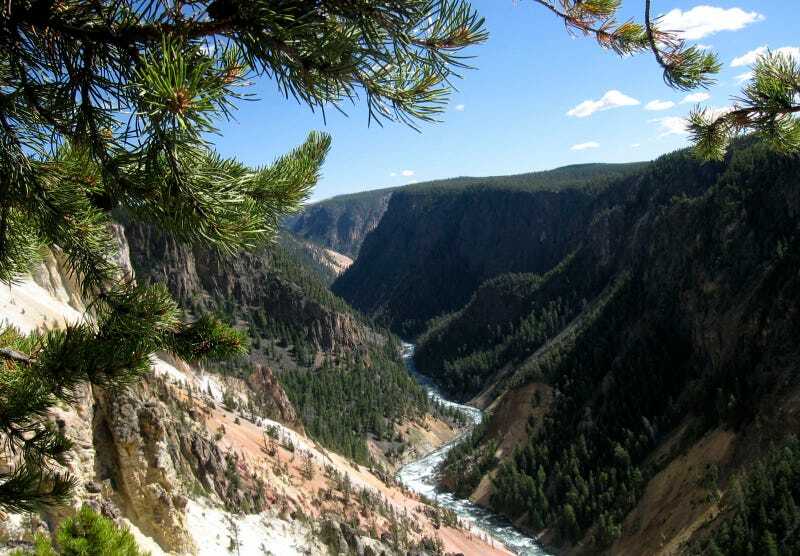 A 21 year old woman who worked concessions at Yellowstone’s Grand Canyon tumbled to her death early Friday morning. Estefania Liset Mosquera Alcivar, from Quito, Ecuador, was socializing with some co-workers along Yellowstone National Park’s Grandview Point trail around 3:15 a.m. when she fell over the cliff edge, the Casper Star-Tribune reports. Her friends immediately called 911, but authorities said the fall was not survivable. A search and rescue crew spotted her body at first light and retrieved it with a helicopter. Yellowstone officials are continuing to investigate. The summer has been especially deadly around the park. In June, an Oregon man died after falling into a hot spring, and earlier that same month, a 13 year old boy was burned by a different spring after he, too, fell in. At a different Grand Canyon several states away, Yelp executive Colleen Burns fell 400 feet to her death in July, having slipped while attempting to maneuver around a group of tourists.